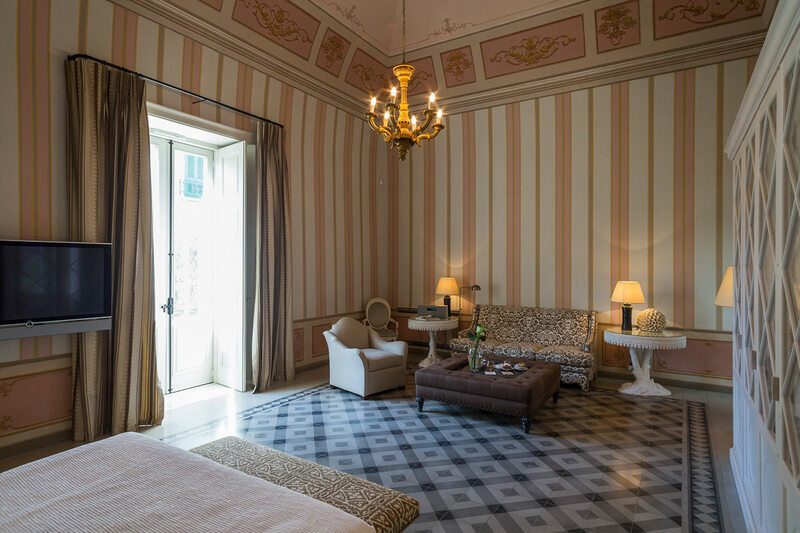 Classic Italian décor lends this suite of our boutique hotel in Italy a warm ambiance with a modern touch. 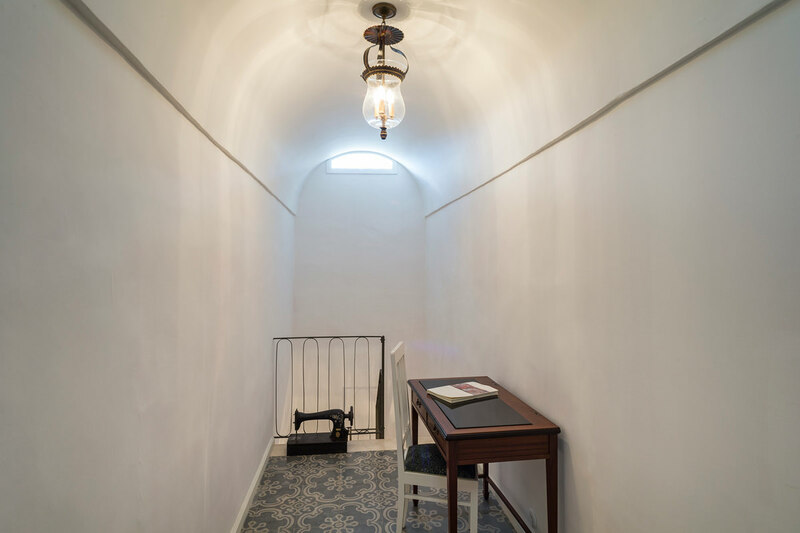 A secret back staircase leads to an upstairs loft, whose single bed and sitting room make it an enchanting hideaway for a child, or a perfect private reading room for adults. 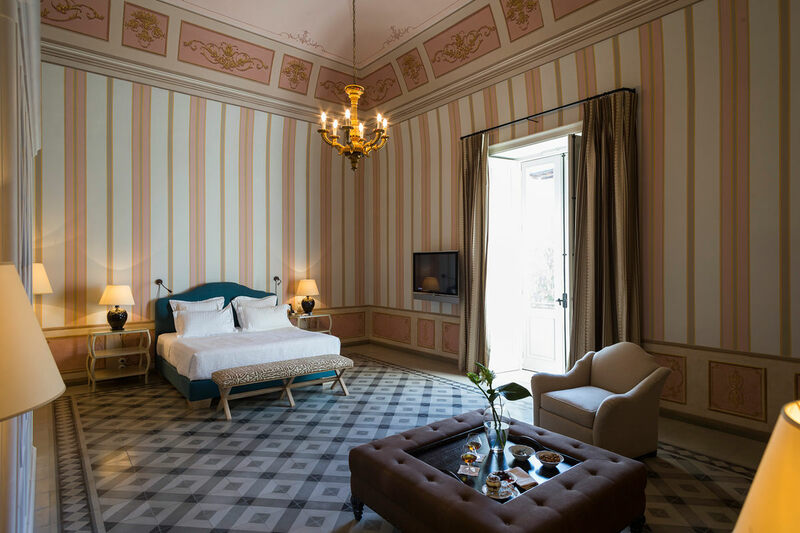 (It is said that this was the room of the Palazzo's young maid, Palmetta, who had given her heart to the dashing Agostino Coppola.) 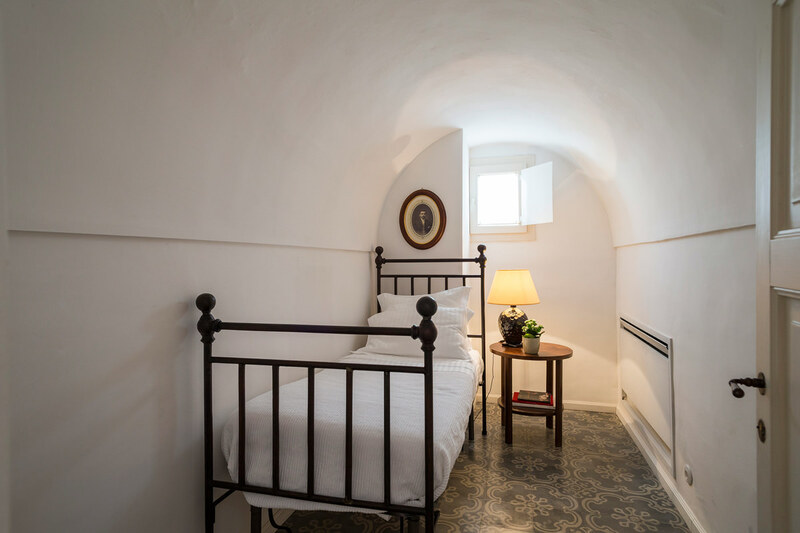 The room also features a majestic ceiling with a hand-painted restored fresco, and spacious bathroom with a clawfoot bathtub and separate shower. 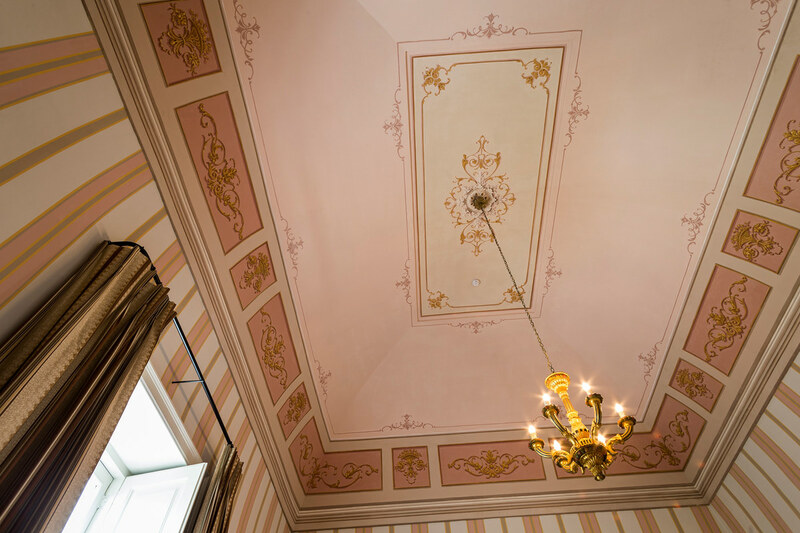 A Juliet balcony faces the main street and town square, a perfect spot to enjoy coffee or tea. King-size bed. 620 square feet (57 square meters). 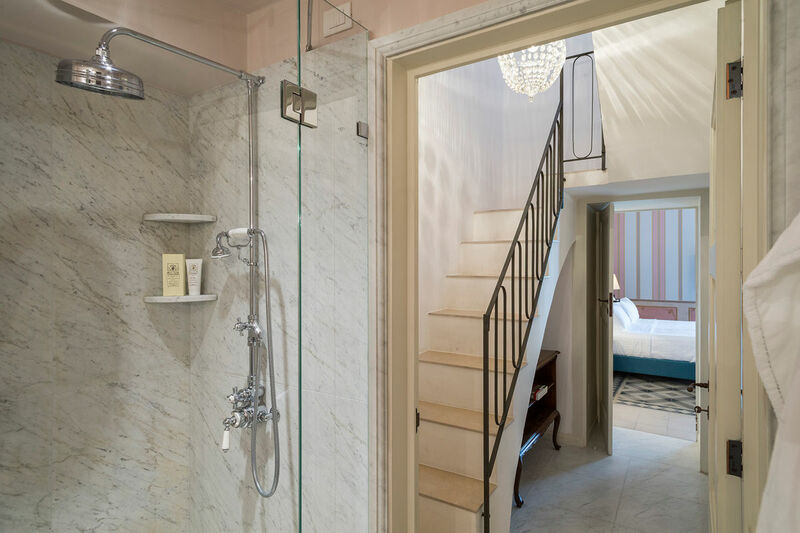 For more information about our boutique hotel in Italy, contact us. Capacity 4.